Gouache, ink and watercolor on paper. 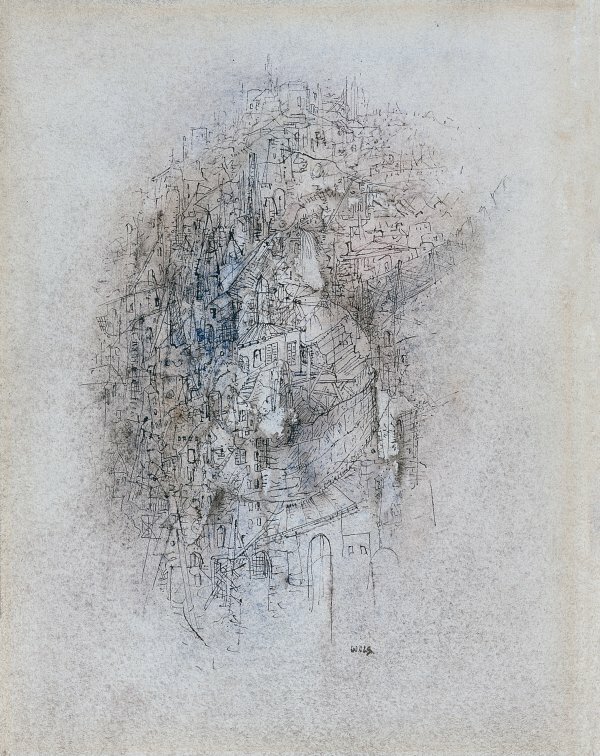 Alfred Otto Wolfgang Schulze, whose pseudonym was Wols, fled Germany in 1933 following the arrival of Nazism and spent the remainder of his short existence between France and Spain, always an outsider, living on the fringes of society. 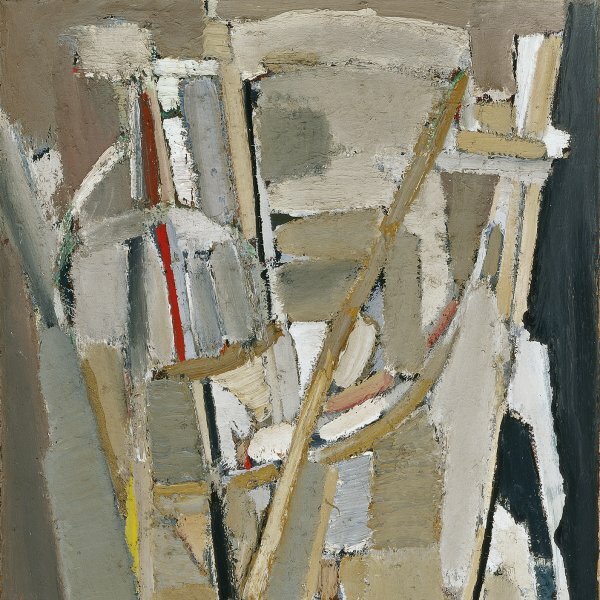 In 1951 the critic Michel Tapié included him in the 1951 exhibition Vehemences confrontées, a comparison of the non-figurative trends in French, American and Italian painting, and he soon became one of the forerunners of informal abstraction, sometimes called Tachism. Wols’s calligraphic abstraction — a peculiar mix of poetic, oriental and Surrealist influence — also reveals the mark of Klee’s psychic improvisation and the automatism of Miró, Tanguy and Masson, as well as the so-called psychoanalytical drawings of Jackson Pollock. However, despite sharing many features with certain informal languages, Wols, a follower of the Taoist philosopher who aspired to at-oneness with nature, never severed his links with the real world.